This month Mixology is all about fortified wines. Jordan Deveraux of Chemistry of the Cocktail almost had me experimenting with port, Madeira or sherry. But in the end my interest in wine fortified with quinine won out. I was ready to see if I could come up with my own mix and started to thumb through a pretty special Christmas gift I got i 2012: A reprint of a handwritten bar manual a Danish bartender called Axel Sørensen wrote in the late 1930'ies when he worked at a now closed bar in central Copenhagen called Café De la Reine - the Queens Cafe. The reprint has been made possible in a collaboration between Henrik Steen Pedersen who runs one of Copenhagen's hidden gems Moltkes Bar and the grandchild of Axel Sørensen. 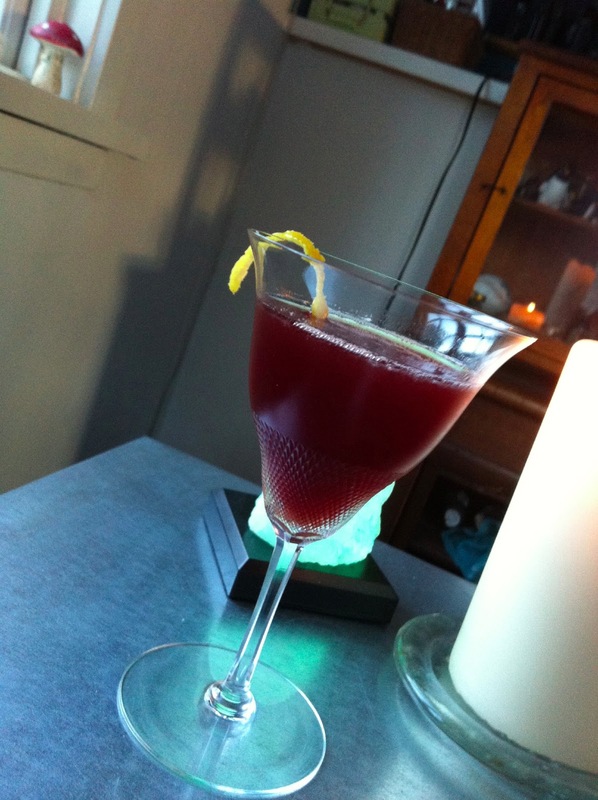 Axel Sørensen suggest that it's mix of one half part Dubonnet, a quarter part gin and a quarter part French vermouth. The cocktail - named after the Royal palace in Copenhagen - had also caught the eyes of the folks at Molktes bar. However they suggested different ratios of the ingredients. And I changed the French vermouth out for Kina L'Avion D'Or . So with two quinine fortified wines I figured I needed a sweet gin and chose Old English Gin. Shaken with ice, strained into a cocktail glass and with lemon twist for a garnish.